Introducing an exciting Smile Marketing innovation designed to help you get and keep more new patients – email tagging! Clients who tested our Beta version are delighted by the ability to target specific overtures to specific patient profiles. “Tags” allow you to easily segment your patients so you can send campaigns only to patients interested in a particular topic. Learn all about the email tagging feature, and watch our how-to video, here. The rise of mobile searching created waves in late 2015, when mobile search engine usage reached a record 50 percent. Well, that number is rising – and rising fast. Examining “hundreds of millions” of searches across desktops, smartphones, and tablets, a new report found that 58 percent of online search queries now come from a mobile device. These findings further emphasize the importance of having a practice website that caters to all types of devices. If you are a Smile Marketing client, your website is already responsive – adaptive to desktops, smartphones, and tablets. 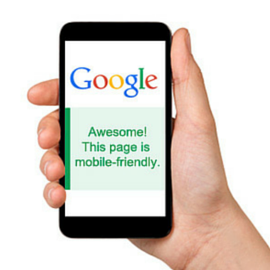 Note that even if you do have a mobile-ready site, you’ll want to ensure that the elements on any new pages you add are optimized as well. For example, if you blog regularly, you’ll want to make sure your images load in the appropriate size and scale, based on the device being used. SEO, blogging, social media – these are profitable ways to encourage long-term growth for your practice. But a great way to expedite your new patient growth is through online ads. Pay-per-click (PPC) is a form of online advertising in which you pay a fee each time someone clicks on your ad. In essence, it’s a way to “buy” visits to your site, rather than “earn” those visits organically through search engines. The most popular PPC platform is Google AdWords. 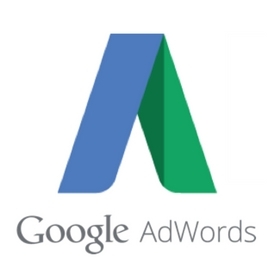 There are countless reasons for adding AdWords to your marketing mix. And the benefits become more profound as Google fills up organic real estate with more paid ads. PPC generates patient-ready leads the moment you activate your campaigns. Instantly, you get your practice name out in front of an eager, information-seeking audience. Want to dive deeper into PPC advertising? Learn how Smile Marketing’s Certified AdWords Specialists work with our clients to develop cost-effective campaigns that maximize ROI. « New dental website designs – Manningham Smiles and more!